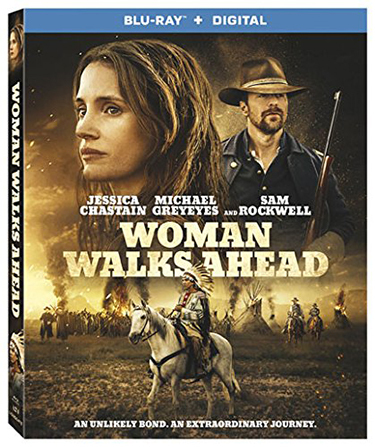 An all-star trio leads the way when Woman Walks Ahead arrives on Blu-ray (plus Digital) and DVD August 28 from Lionsgate. 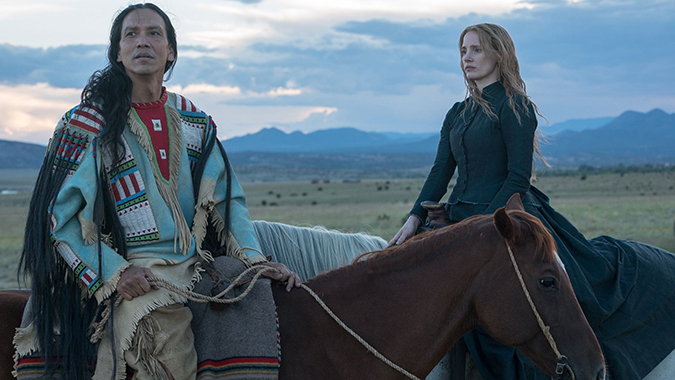 Directed by Susanna White (Our Kind of Traitor) and starring Academy Award nominee Jessica Chastain (Best Actress, Zero Dark Thirty, 2012), Academy Award winner Sam Rockwell (Best Supporting Actor, Three Billboards Outside Ebbing, Missouri, 2017), and Michael Greyeyes, who The New York Times lauds as “a miracle of intelligence and dignity,” the film tells the fictionalized account of the true-life events of New York portrait painter Catherine Weldon and her time in North Dakota with the Lakota Sioux tribe. 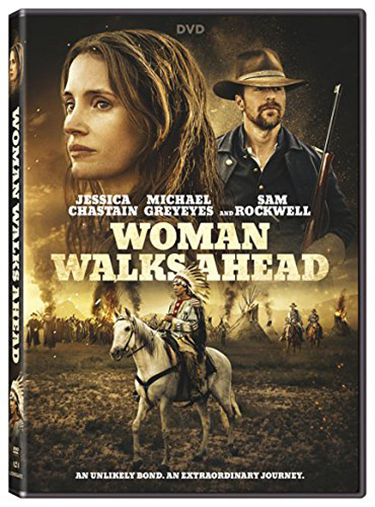 Called “an impeccably directed, gorgeously photographed Western” by Variety, the Woman Walks Ahead Blu-ray (plus Digital) and DVD will be available for the suggested retail price of $21.99 and $19.98, respectively.